Bar Ilan University withdraws support from a motion to the Supreme Court against the decision to recognize the Ariel University Center. 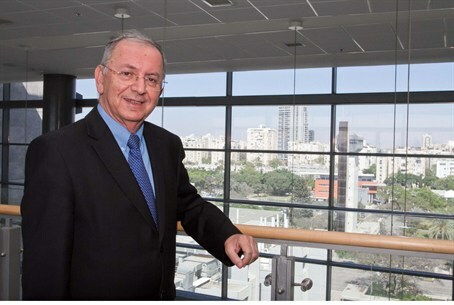 Bar Ilan University President Prof. Moshe Kaveh decided on Monday to withdraw his support from a motion filed by the heads of universities to the Supreme Court, against the decision to recognize the Ariel University Center as a full-fledged university. During a discussion which was held at the Hebrew University in Jerusalem prior to the motion being submitted to the Court, Kaveh expressed reservations about the motion but ultimately voted in favor of it. He changed his mind when he and other university heads were requested to give power of attorney to the law firm handling the petition. Hebrew University, the Technion, Tel Aviv University, the Weizmann Institute, Bar Ilan University, Haifa University, Ben Gurion University and the Open University filed the motion last week. It demands that the decision by the Council of Higher Education for Judea and Samaria (CHE-JS) be struck down. MK Tzipi Hotovely (Likud), who heads the Knesset Lobby for Recognition of the Ariel University Center, welcomed Bar Ilan’s decision and said that it proved that there is independent thought even among the members of the forum of heads of universities. “Defense Minister Barak should validate as soon as possible the decision of the CHE-JS and bring an end to the wasting of time by the university heads,” she said. Barak needs to complete the process of recognizing Ariel, since the IDF is the body which has legal authority over Judea and Samaria.